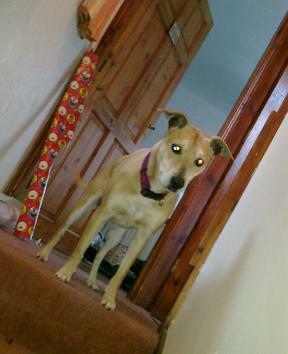 Minnie is an adorable 10 year old Labrador Cross who is in an Oldies Club foster home in Mow Cop, Staffordshire, waiting for someone to offer her a permanent home. Minnie has had a sad time in recent months. Her former owner became unable to care for her and so Minnie was placed in private boarding kennels whilst the family tried to secure her a rescue place where there was no risk of her being put to sleep if she wasn’t rehomed within a certain time. 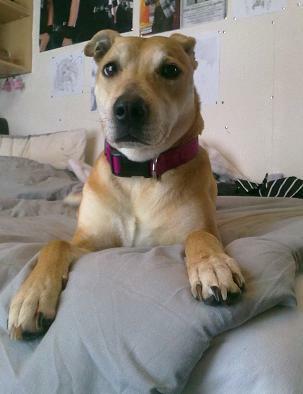 She found that place with the Oldies Club, after spending 11 sad and lonely months in kennels. Despite all she’s been through, Minnie settled into her foster home straight away and has proved to be a really lovely dog. She absolutely adores the 14 year old girl in her foster home, following her everywhere. She’s fine to be left for 3 or 4 hours at a time, but she gets anxious if left any longer. Social skills: Minnie loves people and is good with children - she’s met ones of 8 years upwards recently and been fine with them. Minnie barks at other dogs but she isn’t nasty. During her time in kennels she only socialised once with a female dog. 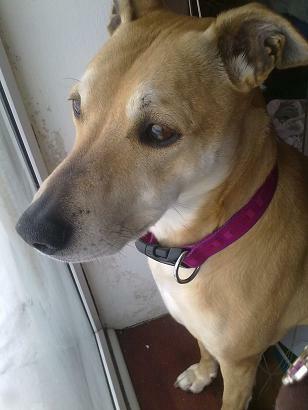 It is possible that she could be homed with another dog but that would depend on how they got on when they met. Minnie doesn’t like cats. Her favourite things: Loyal Minnie loves to curl up with her foster carer’s daughter. 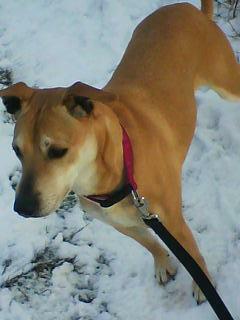 She also loves to walk but she doesn’t pester to go out. 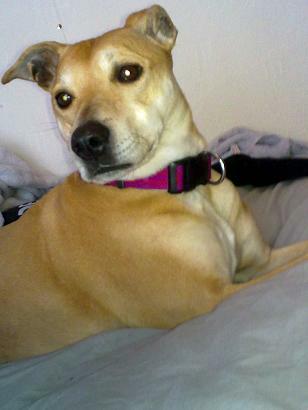 Her perfect home: Minnie would like a home where she can enjoy being with people and where she gets nice walks. She is fairly lively so is happy to have lots of walks but she’s also happy on days when she only gets a couple of walks - she’s just an easy-going girl. She would be happiest in a home where she isn’t left for long periods. She loves a fuss but she isn’t demanding of attention: she lies down and doesn’t pester. She loves people regardless of gender or quantity: she goes out for a family tea once a week with her foster carers and there are 9 adults and children there - she enjoys herself and doesn’t get too excited. Health notes: Minnie is neutered, vaccinated, microchipped, wormed and flea-treated. At her vet-check she was given a clean bill of health apart from her teeth needing a bit of a clean. Minnie is a lovely lady who fits in with any situation without moaning. She may be 10 but she has the activity level of a much younger dog when on walks. Saying this, she is just as happy curled up close to her owner. Inside the house, Minnie is no trouble at all and is well trained and obedient. She has her space at the foot of my daughter’s bed where she will stay at night without moving until she is called for her morning walk. She doesn’t pester for food and will lie on her bed whilst we eat. Anyone who adopts Minnie must realise that, because she has been in kennels for 11 months, she is not all that socialised with other animals, but that does not mean she couldn’t be. I think that she would be dominant with other dogs as she does like to mark her territory, but this again could be the result of being confined for a long period of time. As I write this she is lying quiet on my bed, happy for the odd scratch or stroke. She lived her life with a man who had to go into sheltered accomodation so has been a faithful companion for most of her life, this is all she wants for the rest of it. Minnie can be rehomed anywhere in the UK, subject to a satisfactory home visit, but note that you will be required to travel to the foster home to meet her. Minnie has now moved to a foster home in Hatfield, Hertfordshire please can the title be updated with her new location.